The price of the show also includes a meet & greet session. Cat's Pajamas is no longer playing in Branson. The Cat’s Pajamas is a unique a capella group that has performed on NBC’s hit show The Sing-Off and was voted the Best Group in Branson 2011. The Cat's Pajamas Vocal Band, five guys that create the sound of an entire band using only their voices, is wowing audiences as part of the new wave of entertainment in Branson. They engage audience members with dynamic and interactive performances as they perform not just lyrics, but percussion sounds as well. These talented performers are amazing audiences at the Andy Williams Moon River Theatre. This popular quintet reached the Top 10 in Randy Jackson's National Oreo Cookie Jingle Competition. 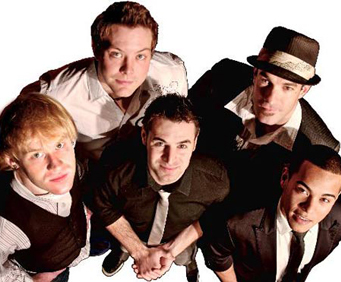 Their talented music has been seen all over the world on global television and live performances in their five years of touring. 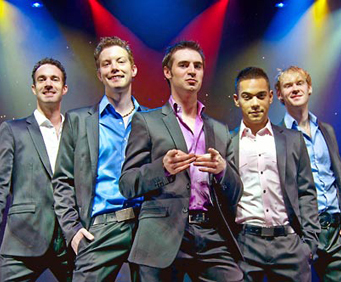 Be prepared for their incredible vocal harmonies to thrill all ages with an array of tunes from classic rock to doo wop. You may hear old and new favorites such as 'Love Potion Number 9,' 'You've Lost That Loving Feeling,' 'Only You,' 'Some Kind of Wonderful,' 'Meet Virginia,' and more. 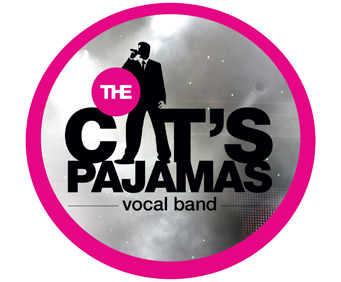 Enjoy a unique and fabulous Christmas show as The Cat's Pajamas Vocal Band brings you a holiday celebration filled with festive decorations and exquisite music. You'll be amazed at music that will include tunes from their Christmas album Purr-fect For The Holidays. Be ready for favorites like 'Sleigh Ride,' 'Winter Wonderland,' 'O Holy Night,' 'Mary Did You Know,' 'You're A Mean One, Mr&period; Grinch,' 'The Chipmunk Song,' and many more. I moved to branson four years ago because of my love for live shows. I've seen every one of them in this town. The ones i really like i've seen many times. This is one i will be seeing many more times in the future. Full of energy and tons of fun. These guys are outstanding. The theater they are at is the buttons. For some reason every show at that theater is always unusual and fantastic. I didn't think they could fill the void left after the red head express moved on after the close of last years season but they did. This group of young men bring to branson the spark that this town can fan into a real inferno! Over promoting of themselves isn't neccessary they are really great and fun. I would have actually enjoyed them a bit more if i hadn't been so close. 2nd row. Awesome show!